We have examined some resource and created a small infographic. Check it and use it in your everyday work. This small piece of knowledge is good for all mobile developers, that are ninjas of iOS, Android or Windows Phone. Use it wise and create the best mobile games ever! 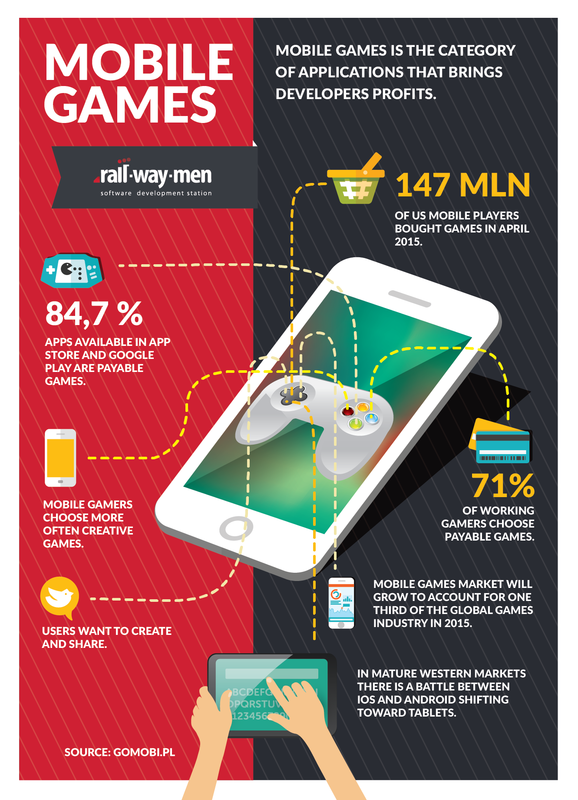 Analyzing the situation on the mobile gaming market, it is needed to look more widely on the issue. Currently, the worldwide gaming market experiences a real boom. Nowadays, users are much more interested in online entertainment. The technological progress that has been made in the development of mobile devices such as tablets and smartphones is not without significance. The distribution method has changed also, new channels are successfully functioning, and the quality of mobile Internet has been improved...read more here.